DR Congo is bursting with life. Its rich forests are filled with fruits and roots that people have eaten for centuries. The country has historically been a place of great agricultural production, home to a number of major plantations. 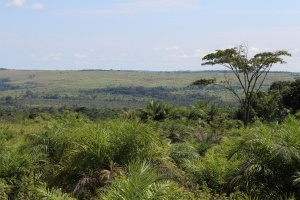 PCP is honored to have supported many agriculture projects over the years and we are encouraged by the great work our Congolese partners are doing in this area. Yet in some areas malnutrition remains a major problem. This is true of the area around the Bogose Nubea hospital. For a long time, the hospital has been ill-equipped to do much about the malnutrition problem, until now. Dr. Florent is the Bogose Nubea hospital’s director. He lives across town in a small house with his family. As a new-comer to Bogose Nubea, he has been especially troubled by the high rate of malnutrition in his community. Up to 40% of the children Dr. Florent treats are malnourished. Some require simple diet changes, while other children with severe malnutrition, need urgent medical intervention. 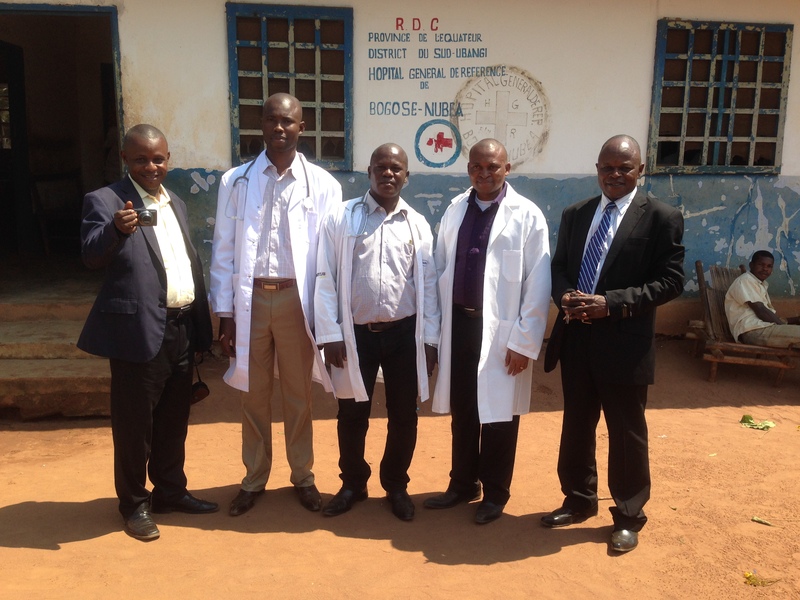 Dr. Florent (tallest) with his team. The hospital has long struggled to treat these children, and Dr. Florent and his colleagues know this problem will never be solved by simply finding better ways to treat malnourished kids. Recently, Dr. Florent and his team developed a nutrition center tackling malnutrition from multiple angles. 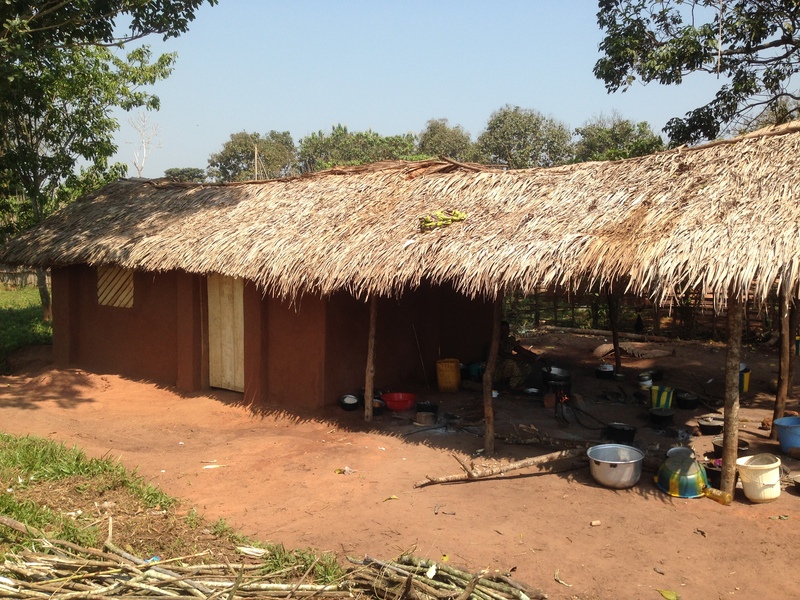 This center serves two overarching purposes: first, it enables the hospital to treat severely malnourished children with good local foods and second, it teaches mothers to help their children avoid malnutrition altogether. To develop this nutrition center, Dr. Florent and his team started with the available assets in their community. Specifically, they invested in a Moringa garden and a building to be used for both food storage and hands-on education with mothers. The moringa oleifera leaves are very rich in protein, vitamins, and minerals. 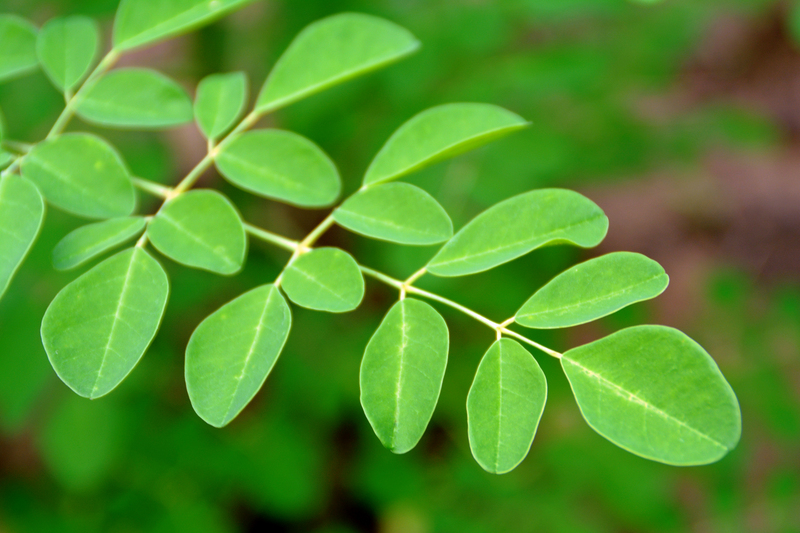 Moringa leaves have high nutritional value, so they are ideal for mixing with other foods that mothers are accustomed to preparing. Since many women bring cooking supplies with them to the hospital (there isn’t a hospital cafeteria in Bogose Nubea! ), the nurse assigned to the nutritional rehabilitation center works with these mothers as they prepare food, helping them to add nutritional value to what they feed their children. Sometimes this means adding moringa, but women are also taught how to incorporate beans into their diets, how to use fish with certain local sauces, and about the value of eggs. Additionally, they discuss things like meal frequency and hygiene. Dr. Florent equipped his hospital with a viable way to treat malnourished kids, and it started working right away. In the last three months of 2015, just after the nutrition center was launched, Dr. Florent reported a 20% reduction in death caused by malnutrition! In the first quarter of 2016, he reported that deaths linked to malnutrition were down an additional 15%. In time, he also believes that this nutrition center will lead to far fewer children being hospitalized because of malnutrition. Dr. Florent and his team have achieved amazing results by working with local resources to creatively address community needs. We are proud to support their work through the hospital funds. We are grateful to those who contribute to PCP and make this work possible! If you would like to give to PCP, donate here.